Are RunPhones Different From SleepPhones? Home → Blog → Are RunPhones Different From SleepPhones? Are RunPhones® Different than SleepPhones®? RunPhones® and SleepPhones® use the same technology to bring you high-quality sound and great fabrics for comfort. They are both available in our exclusive SheepCloud™ Breeze fabric which is preshrunk, moisture-wicking, and very comfortable. There are some color variations between the RunPhones® and SleepPhones® headbands like Orange Exuberance which is exclusive to RunPhones®. 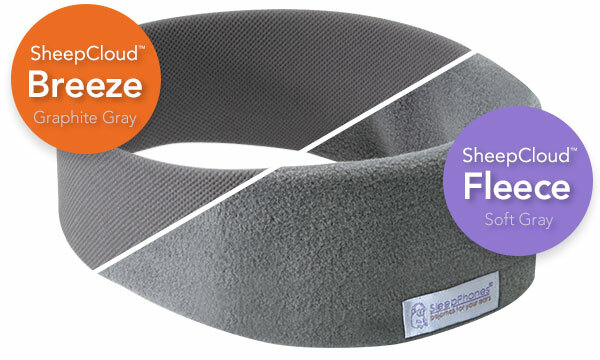 If you are looking for something to keep you a bit warmer, SleepPhones® are available in three colors in our SheepCloud™ Fleece fabric.